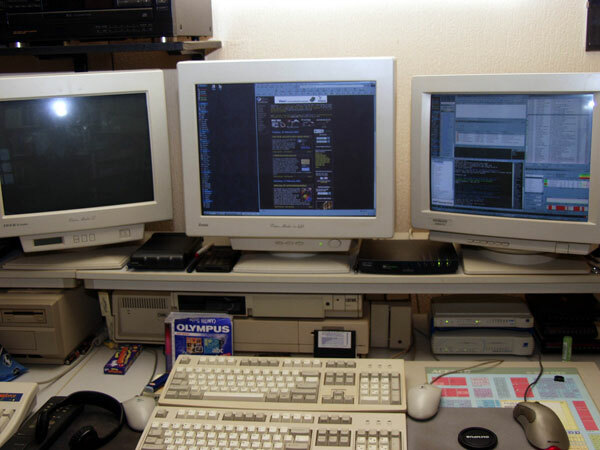 The VERY OLD Home Office Versions that were nothing compared to the current one. 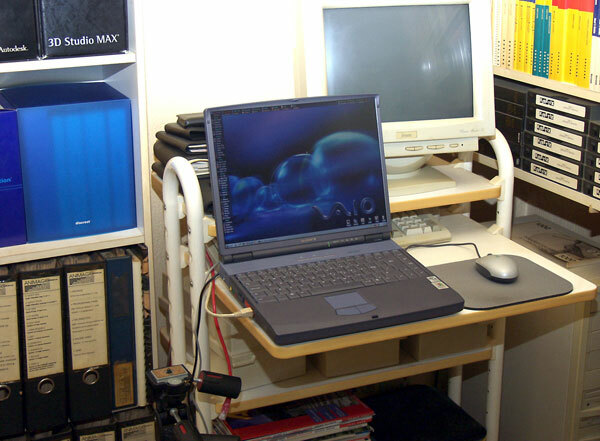 These are some very old pictures (and not very good ones, at that) of how my home office used to look long before the now famous version (that I call version 6) or the previous one (which I guess would be version 5). 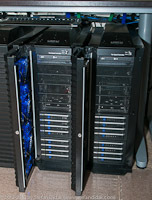 Don’t ask me what the specs were on the systems that were there at the time since most of these date back to, I believe, between 1999 and 2001. So yeah, these are a decade old and most of them were shot with an Olympus E-10, one of the first digital SLR’s on the market back then. 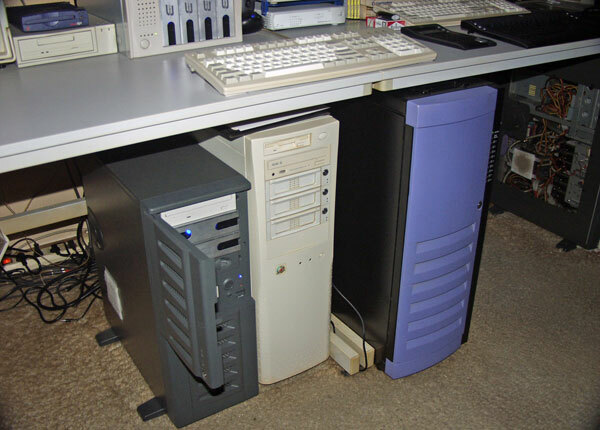 For those who pay attention, yes, there were still a few Amiga’s around at the time but even in the 1999 period I didn’t use them. 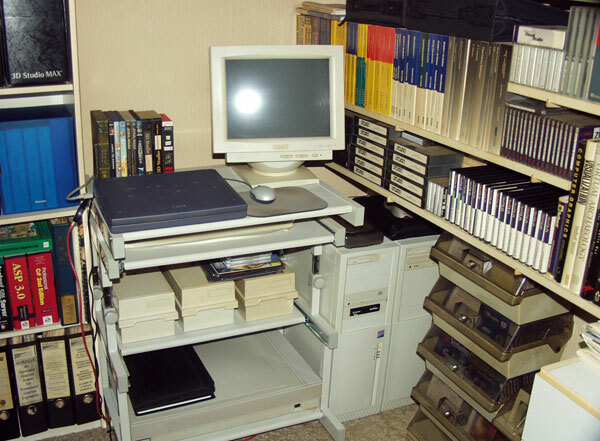 A friend once said I only used those Amiga’s to keep dust of my desks and in a way he was right about that. My use of Amiga’s died off sometime around 1991-1992. 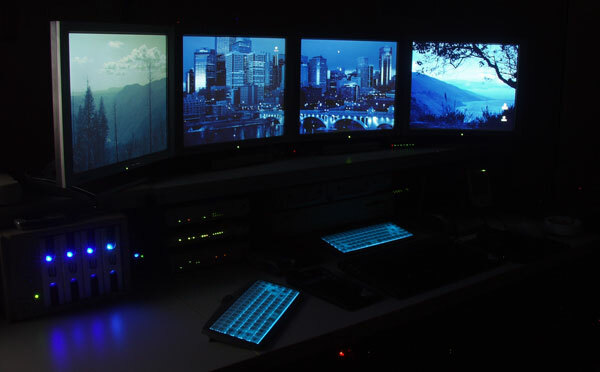 I guess the above shots are from a period that could be called “version 4” which was the first switch in moving from big and heavy CRT monitors to multiple TFT monitors. I went some steps back in resolution as a result of it because high resolution TFT’s weren’t available much and the few that did exist were painfully expensive. So instead of fussing with resolution I just added multiple TFT’s to deal with the desktop space issues. 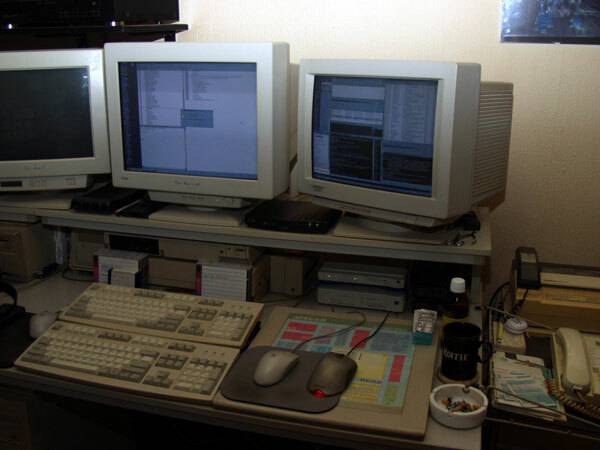 Those were some of the workstations that I did most of my work on back then. I can’t remember in detail what the specs on those were. Quite high-end at the time, of course, because otherwise I wouldn’t have been able to do my job. 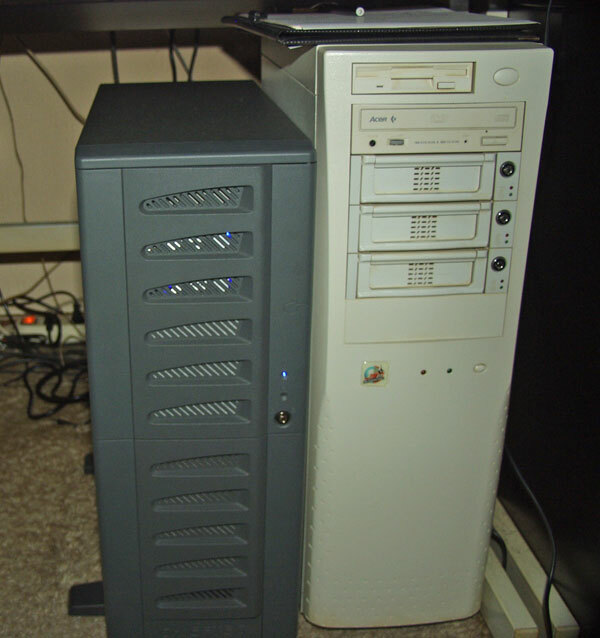 I recall the big blue case was one of the first versions of a dual AMD Athlon system with something as shocking as 8GB of RAM. Yeah, these days my USB sticks have more storage than that! 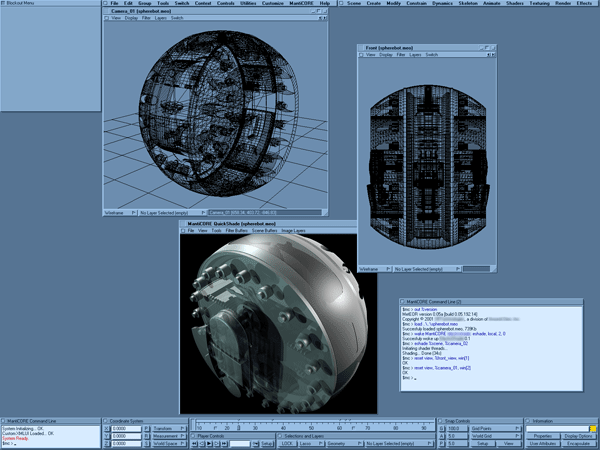 Going back further in time, somewhere between what would be version 3 and version 4 of the Home Office. 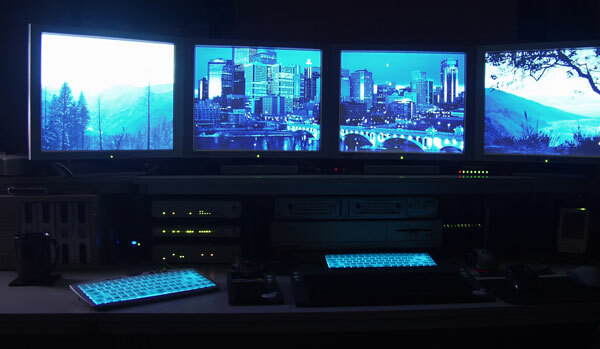 Big CRT monitors with high resolutions and workstations fitting for the development of 3D computer animation software. 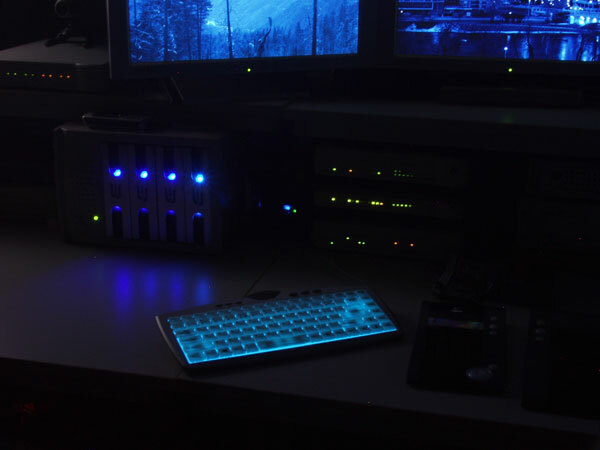 As you can probably tell from the images I was using multiple keyboards and mice. Long before the days of amazing utilities like Synergy. And just what was I developing at the time? The image below might shed some light on that. The first laptop I ever bought, a Sony Vaio powerhouse (at the time). I started to travel more in 2000 so needed something to take along. Amazing how far we’ve come in laptop technology since that time. 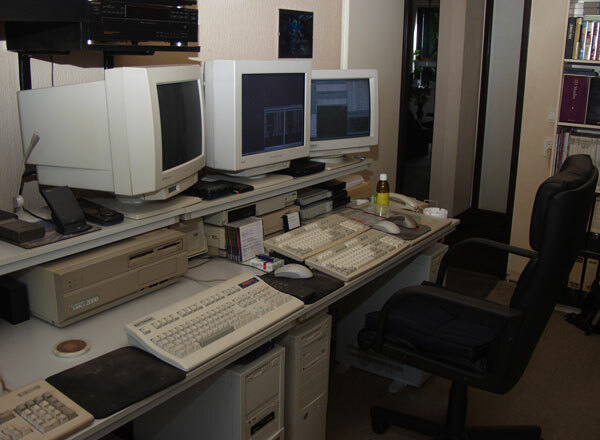 Some more workstations tucked into a corner and tons of ZIP disks and Syquest harddisk cartridges there (a whopping 1GB each at the time!). 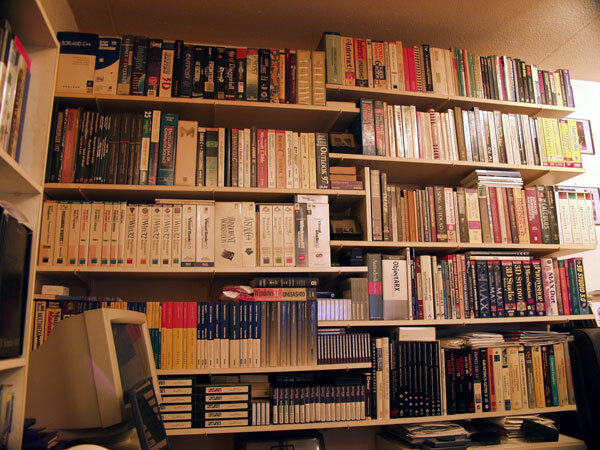 And yes, old Borland and Watcom C compiler books up there for those that would recognize them (which would give away your age in a heartbeat!). 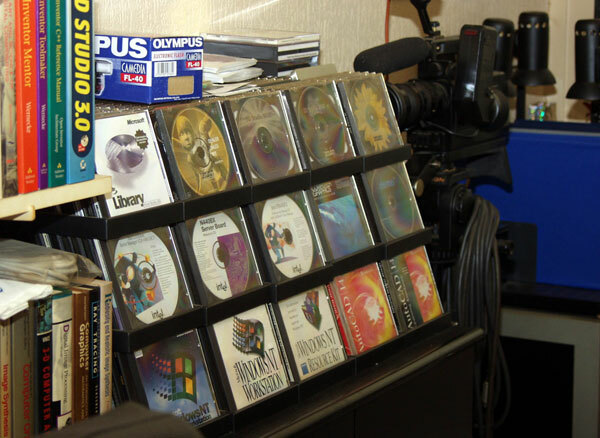 Tons of CD’s because that’s the way software came in those days. It didn’t take long for me to discover disc binders to store all that stuff in. A few years ago I cleaned out those things with outdated old CD’s and it was a complete big garbage bag full of them. Then I had to split them into multiple garbage bags because the weight of all those old CD’s combined (it must have been thousands) was too incredible to carry. The small library as it was back then. Before pitching and pruning and recombining the ones that I really felt were worth keeping.